For past Valentine’s Days, we’ve given you advice on how to create a romantic atmosphere in your home all year long. This year we want to show you a few pieces of furniture we absolutely adore. 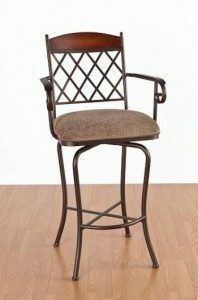 Bring French Country style into your home with this beautiful barstool. The curves of the back’s metalwork create a bouquet of hearts. 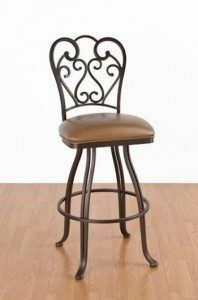 Customize the height, add arms, choose your fabric and start a love affair with this gorgeous barstool! Live la dolce vita! Biscotti gives your home lip-smacking Italian design and a fabulously comfortable rounded back. Tailor it to your home by browsing through dozens of flattering upholsteries! Click here for a tall version of Biscotti that’s perfect for cafes or bars. 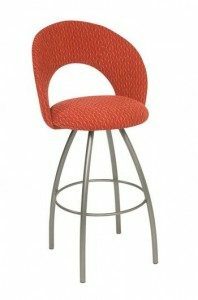 Click here to browse other wood-backed barstools. 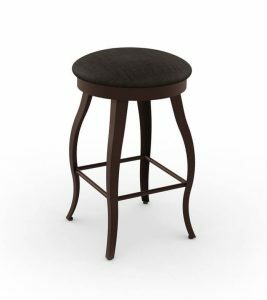 This stool keeps a low profile, disappearing under the counter in the blink of an eye and then reappearing just as fast, unapologetically on-trend. Its graceful lines and curvy silhouette are remarkably easy on the eye. The lady of the house has a new favorite spot to enjoy her morning coffee. When’s the last time you fell in love with a piece of furniture? 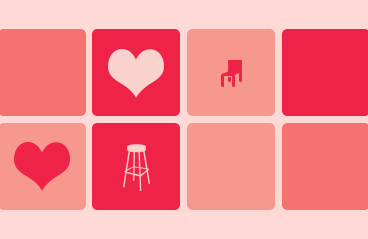 Visit our Facebook page and let us know – and have a happy Valentine’s day!